Relationships Objects versus experiences: which make the better gift? Objects versus experiences: which make the better gift? The annual holiday Canyon Lights at North Vancouver’s Capilano Suspension Bridge Park. To celebrate her 50th birthday this past summer, Laura Clancy and her husband, Matt, splurged on a trip to Italy. It was a vacation of vineyards and hot Tuscan sun, but it was what her partner did on her actual birthday that really blew her away. Mr. Clancy managed to get the two a spot at Osteria Francescana, a 12-table, triple-Michelin-star-rated restaurant in Modena. It's headed by Massimo Bottura, who is considered one of the greatest chefs in the world. Champagne flowed, and they indulged in course after course – including the culinary legend's famous tortellini, a dish he learned from his mom, and a dessert called "Oops, I dropped the lemon tart." Mr. Bottura even went over to introduce himself. 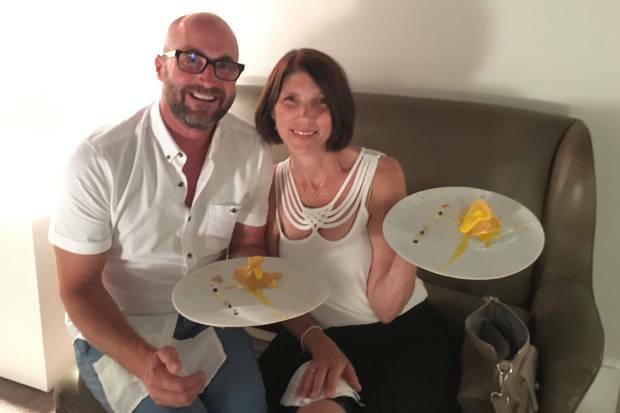 Matt and Laura Clancy hold the “Oops, I dropped the lemon tart” dish at her birthday dinner at triple-Michelin-starred restaurant Osteria Francescana in Modena, Italy. "That was a dream come true," Ms. Clancy, a teacher, avid cook and cancer survivor, says of the evening. "It's something I'll never forget. Just knowing how hard it is to get into that restaurant – all the effort that went into it and what Matt did for me; it had so much meaning in it. And meeting the man himself … I just about passed out." No material object could have topped it. As we head into the year's busiest shopping season, merchants are doing all they can to lure in customers and see sales spike. When determining how to spend their hard-earned money, many people assume that a physical possession will create more happiness than something like a trip, concert or outdoor adventure, since objects last longer. However, presents that come in boxes with bows may pale in comparison to "experiential" gifts – and science supports that. Thomas Gilovich is a professor of psychology at Cornell University who has studied extensively how people feel about spending money on objects versus experiential purchases. His research concludes that happiness comes from experiences, not things. Experiences are more resistant to adaptation than objects, he says, referring to a term used in psychology to indicate the decreased effect of a stimulus after extended exposure. And adaptation is the enemy of happiness. So, while that new mobile phone, necklace, or pair of skis might thrill at first, the delight will wear off. We get used to our things, but we remember experiences long after they've happened. "An experience contributes more to who you are, your sense of identity," Prof. Gilovich says. "You can love your material things, but however much you love them and identify with them, they nonetheless remain separate from you. Experiences really are part of you; we are the sum total of our experiences." People enjoy the anticipation of having an experience more than that of owning a thing, Prof. Gilovich notes. Experiential purchases also have a social effect, in that they connect us to others in a way that objects simply can't. "When you share stories of experiences, generally you have better conversations than when you share stories of material goods," Prof. Gilovich says. "If you find out that we vacation in the same place in New Zealand, we feel closer to each other. We might feel closer to each other if we had the same car, but not nearly as much." Since they're so often shared, experiential purchases bring people together, literally and figuratively. For her family, Whistler resident Sonya Hwang has come to love thinking outside the box; she says that experience-based gifts have become the norm. She and her husband, Harvey Lim, and their two children have gone hiking, been on an eagle-watching float along the Squamish River with the Squamish Rafting Company, participated in Animal Encounters at the Vancouver Aquarium (where guests interact with biologists and trainers), and made their way out of an escape room at Escape! Whistler. Recently, they took in a production of the Nutcracker performed by the Russian Ballet, a first for the children and a gift from her mother. 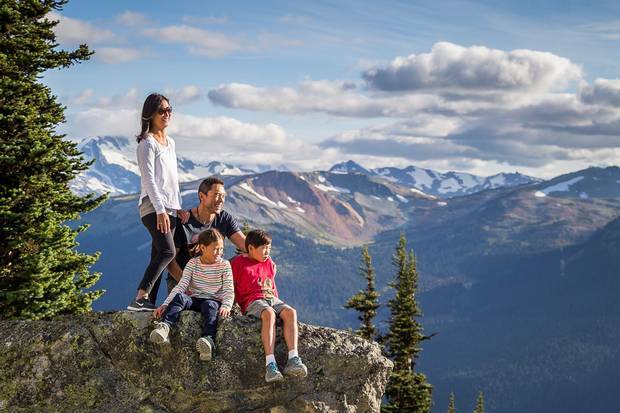 Whistler residents, from top left, Sonya Hwang, Harvey Lim and children Kai and Hana Lim include local outdoor experiences as part of their experiential gift ideas. "Life's about leaving those memories," Ms. Hwang says. "Those kinds of gifts have a more meaningful impact, plus the whole family can enjoy them. "I also like them [experiential gifts] for environmental reasons," she adds. "There's too much stuff. You can purge, but the problem with purging is it takes time. 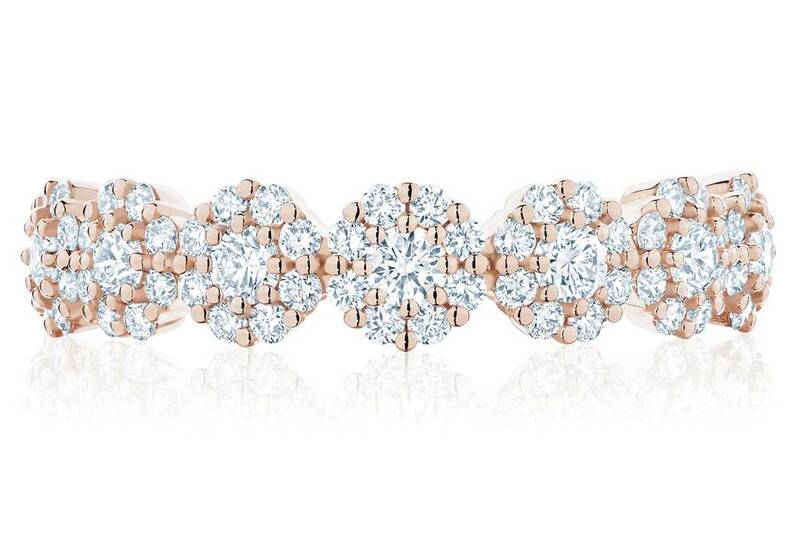 If you don't bring it in, in the first place, you're saving yourself time." People's desire for memorable experiences has given rise to a whole new industry; consider companies like Ottawa-based Breakaway Experiences, Vancouver's Perfect Day Experiences, and Edmonton's Epic Experiences. Flying lessons, kayak tours, archery sessions, wildlife viewing, sleigh rides, parasailing adventures – those are just some of the creative options the ventures have on offer for customers needing a little help coming up with memorable non-object offerings. When Anya Levykh's daughter, Maya, turned 10 almost two years ago, the Vancouver resident suspected she might ask for an iPod or iPhone. Instead, the girl told her mom, "I want to have an experience." A little surprised at first, Ms. Levykh says it didn't take long for her tween to decide on a birthday adventure: She would try raw oysters for the first time and go see a live local production of Pride and Prejudice. A Jane Austen fan, she adored the play. At dinner, the chef showed her how he shucked the shellfish and even brought her a candied cranberry in an oyster shell dusted with pink sugar for dessert. "It was an amazing experience for her," Ms. Levykh says. "She was over the moon." In fact, she liked it so much that Maya now prefers non-object gifts to typical presents. For her 11th birthday, she and her mom spent a weekend in Victoria. Last Christmas, she asked for "magic," a series of evenings where she and her mom would go and explore special seasonal events: VanDusen Botanical Garden's Festival of Lights and Canyon Lights at North Vancouver's Capilano Suspension Bridge Park, for example. They put together an agenda and took photos at each outing. "She thought it was the best thing ever," Ms. Levykh says. "Yes, there was a present under the tree from Santa, but that wasn't the focus. "Those experiences stay with her," she adds. "She's come to really treasure them, therefore that's what she's found to be really valuable, really precious, and that's what she asks for. It takes some planning … but she likes being part of that. It builds the anticipation, and it's something we do together." When John Ferrie's father, Jock, turned 89, he took Jock shopping for a slick pair of runners then out for tacos (his dad's request). Over dinner, Jock revealed what he really wanted for his birthday: the chance for them to go ziplining together. 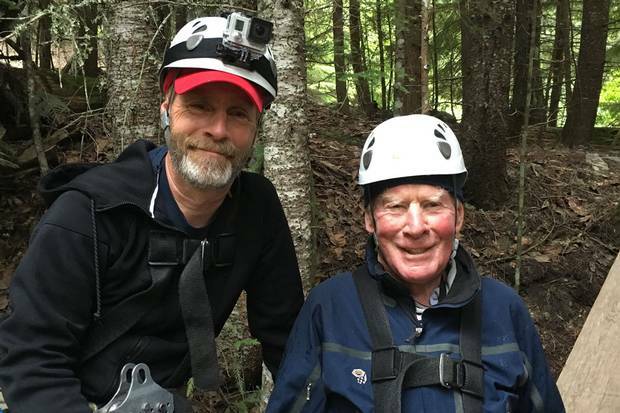 John Ferrie, left and his father, Jock, 89, went ziplining to fulfil Jock’s 89th birthday request. The Ziptrek Ecotours package in Whistler they experienced consisted of 10 zips, one of them more than two kilometres long with riders reaching speeds of about 100 kilometres an hour. Mr. Ferrie booked a package with Ziptrek Ecotours in Whistler that consisted of 10 zips, one of them more than two kilometres long with riders reaching speeds of about 100 kilometres an hour. "To see him grab that harness and jump off … I just about lost it," Mr. Ferrie says. "He was just fearless. He was just having a ball, laughing his head off. "It was such a touching day," Mr. Ferrie adds. "We had this really great bonding day, just the two of us. It was really something special. He still talks about it as the best day of his life."